U.S. Soccer Development Academy clubs form the nation’s highest level of youth soccer and as such, they have a unique position in their communities to make lasting impacts on and off-the-field. 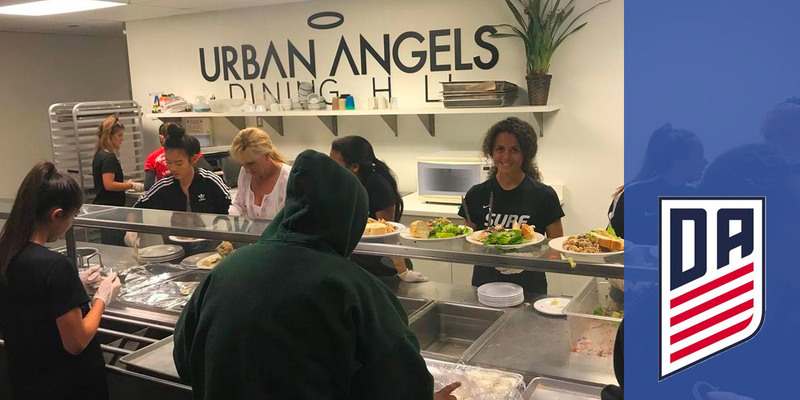 The San Diego Surf U-16/17 Girls’ Development Academy team took advantage of that opportunity last week, serving meals to the homeless at a shelter in San Diego. Surf partnered with Heartfelt Helpings, a non-profit organization that provides services to men and women transitioning back to housing from homelessness.